There are 9 of these eyes down our side of Goleen Harbour, with several on the West side. I’m told they were used to maneuver and turn the sail powered delivery boats bringing coal and other goods to Sheehan’s store in the village. It must have been quite a site, but a fairly common one in the many tight harbours around the shores of West Cork now part of the Wild Atlantic Way. That’s a lovely photo – so good in black and white. 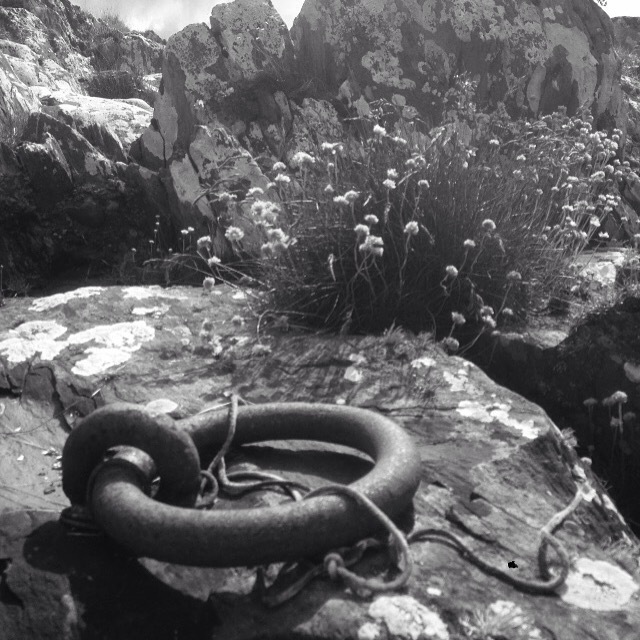 We are just driving part of the Wild Atlantic Way and have seen many of these polished rings in various harbours. Thank’s Mary, glad you liked it, which part of the WAW are you driving ?